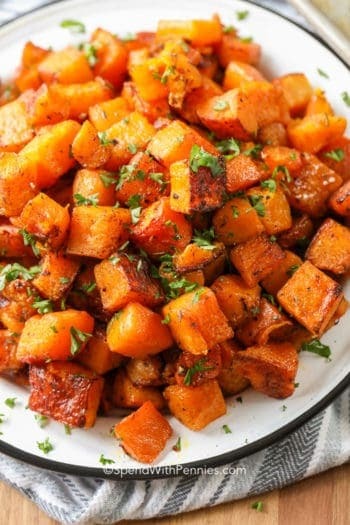 This Baked Butternut Squash recipe is one of our favorite easy side dishes. 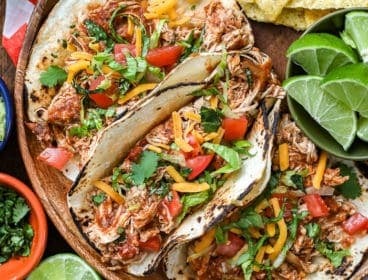 It only has 5 ingredients and tastes amazing! 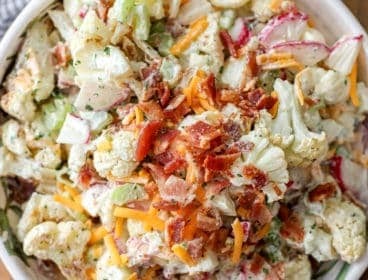 You can slice it or mash it and serve it alongside a roast or a meatloaf, or serve it as a delicious side with minimal prep work! 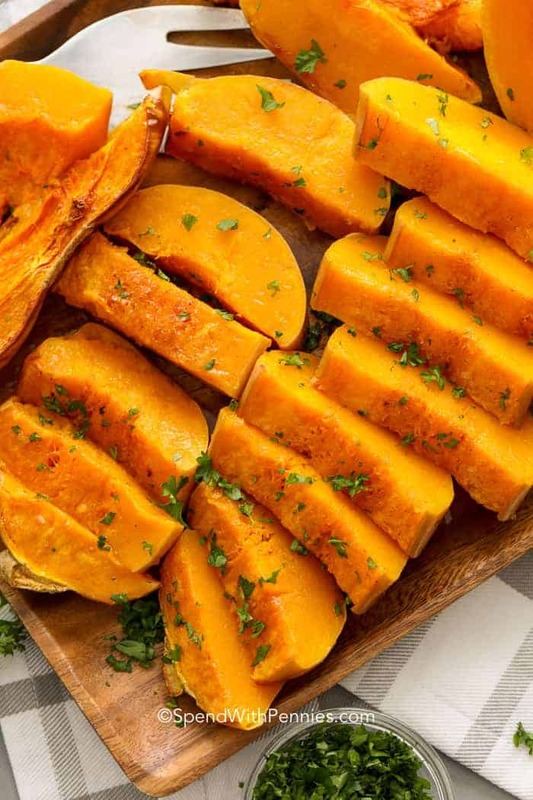 Oven baked butternut squash is super packed with nutrients and available year-round. It even freezes well in plastic freezer bags for single servings. 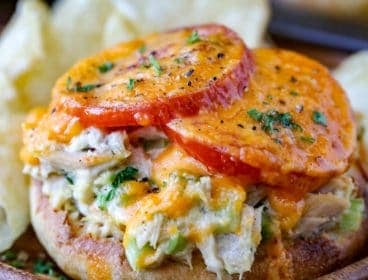 Just pull them out, add the toppings, and reheat! 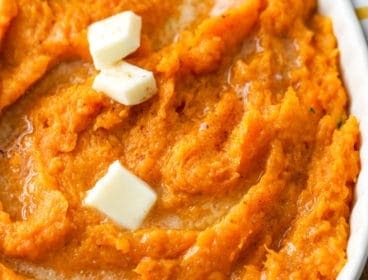 The most important thing about baked butternut squash halves, is how to prep them properly! 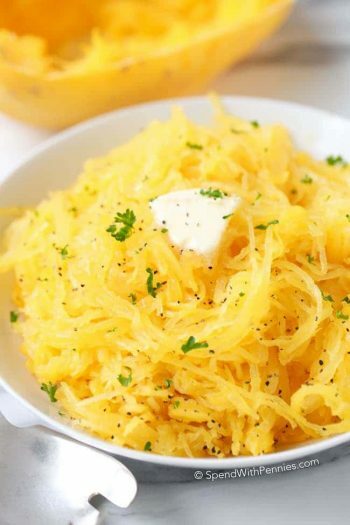 Lay the whole squash on a towel and slice a small portion off the bottom. This creates a solid stand for slicing in half from top to bottom. Slice the squash lengthwise. Preheat oven to 375°F (and line a baking sheet with parchment paper for easy clean up). Cut the butternut squash in half and scoop out the seeds and the stringy bits. Brush with melted butter and sprinkle of spice (we love using pumpkin pie spice) and bake. It’s that easy! 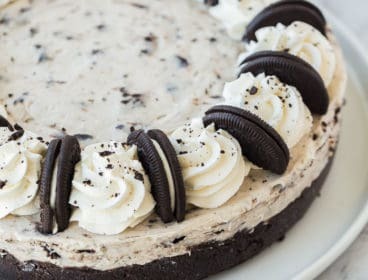 To enjoy, slice, and serve! 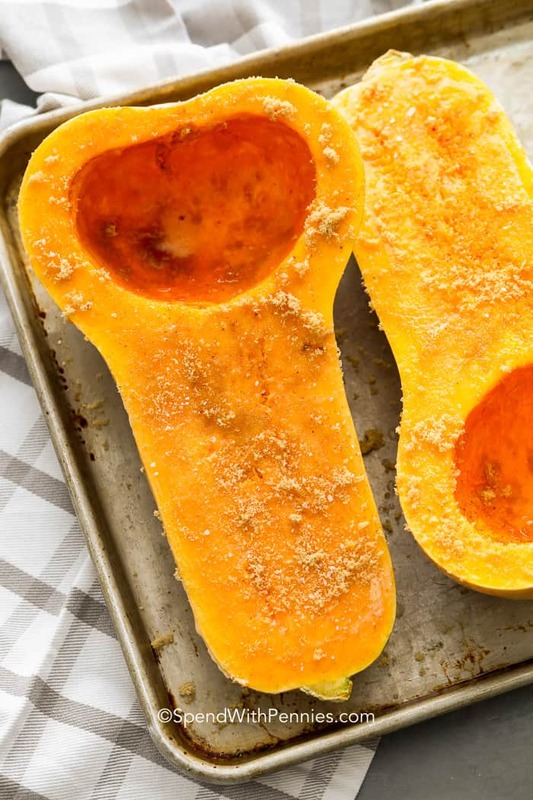 When you are getting ready to bake a butternut squash sliced in half, make sure the oven is preheated and ready to go. 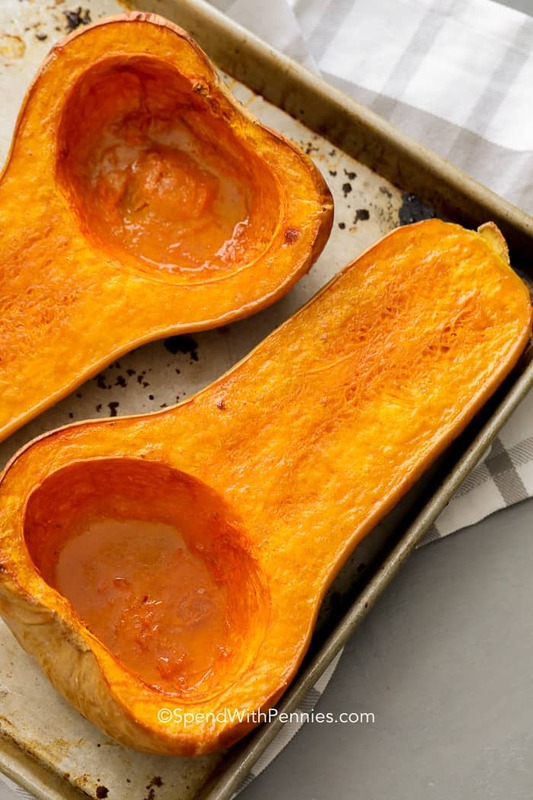 It can take anywhere from 50 to 60 minutes to fully bake a butternut squash, and it is best to bake in the center of the oven to ensure even baking on both sides. 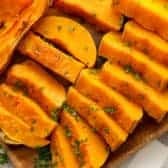 The butternut squash should be tender when pierced with a fork, similar to most squashes, sweet potatoes and baked potatoes. 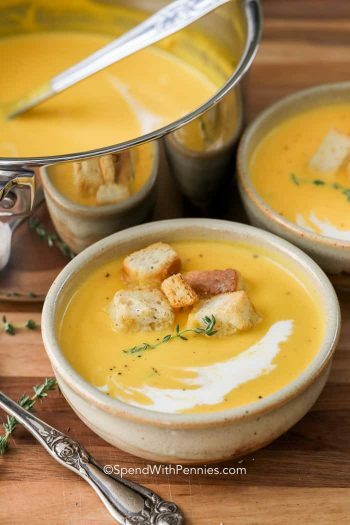 Butternut Squash Soup – Creamy, dreamy and delicious! 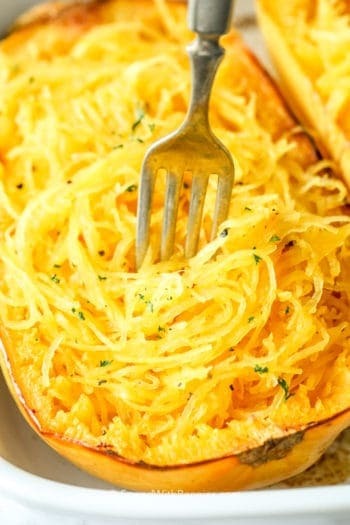 You can eat butternut squash as is for a delicious side dish! Serve it sliced and seasoned. 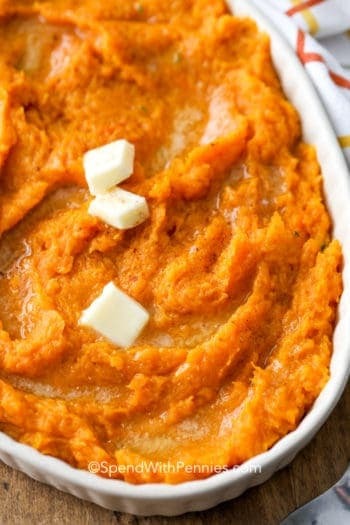 We sometimes scoop baked butternut squash into a bowl and mash it just like our fave Mashed Potatoes. Stir in your favorite seasonings, a bit of cream or sour cream, some butter (of course) and mash it until smooth. This baked butternut squash recipe is one of our favorite easy side dishes. 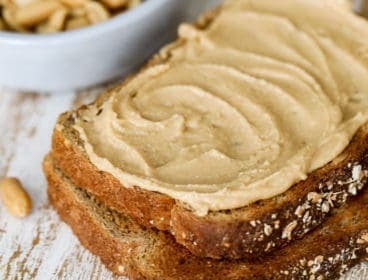 It only has 5 ingredients and tastes amazing! Cut butternut squash in half lengthwise. Use a spoon to scoop out the seeds and stringy bits. 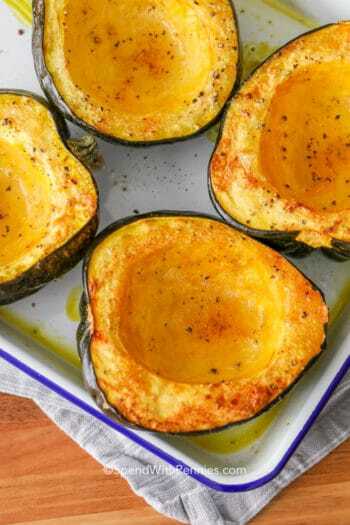 Brush the squash with melted butter. Sprinkle with cinnamon (or pie spice). 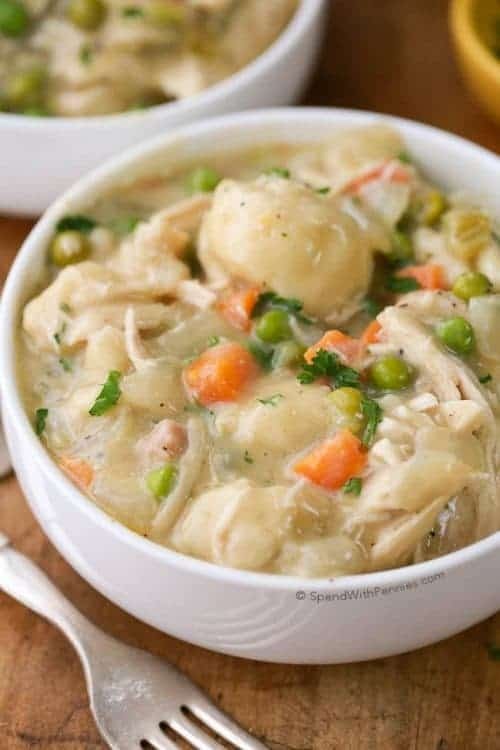 Place on a baking sheet cut side up and bake 50-60 minutes or until tender when pierced with a fork. Slice or mash with butter to serve.